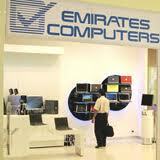 Three decades of experience have established Emirates Computers as a leading systems integrator and technology solutions provider in the Middle East. Founded in 1978 in the UAE with the aim to provide world-class IT solutions, Emirates Computers today stands for competence and commitment. Market Segments: Large Corporate, Small & Medium Businesses and Consumers.